Welcome to baby-love books, the publishing home of the, "Mama, Talk About..." series. 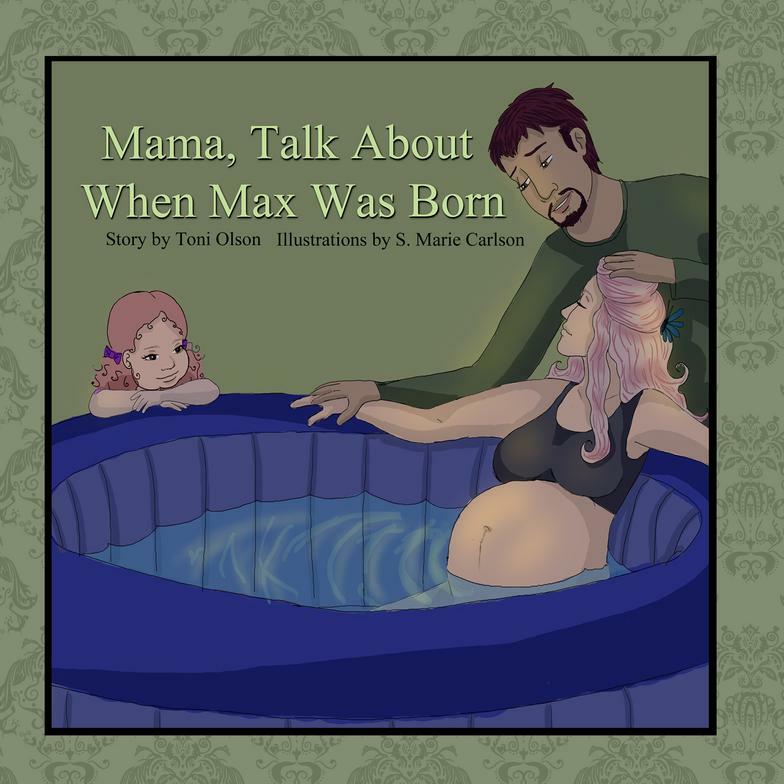 Mama, Talk About When Max Was Born tells the story of Max’s birth, which takes place at home in water. Max’s older sister likes to hear about when Mama first learned that she was pregnant; about seeing the midwives; about preparing for Max’s arrival and finally his birth in their living room. Mama, Talk About When Max Was Born is a sweet and normalizing look at home water birth for young children. The book is 8.5 by 8.5 and is 22 pages long. Mama, Talk About Our New Baby is the story of a young boy who, with the help of his mother, learns what life will be like after his sister is born. Imaginative and detailed illustrations guide parents and children alike through a variety of gentle and responsive parenting themes such as breastfeeding, co-sleeping, and baby wearing. Mama, Talk About Our New Baby provides children with a beautiful and unique introduction to the attached family and helps prepare young readers for life with a new sibling. The book is 8.5 by 8.5 and is 20 pages long.